A survey was conducted by the article’s authors of 154 senior finance executives at Fortune 500 companies. Each respondent was asked their opinion of variance analytics and how it is used in their organization. The survey revealed that on average, the importance of the practice was rated a 9 out of 10. However, it also revealed a significant different in how companies use variance analysis in their organization. 100% of respondents agreed that they already use variance analysis for #2 and over 80% use it for #3. However, only about 50% use variance analysis for #1, which is a major missed opportunity. 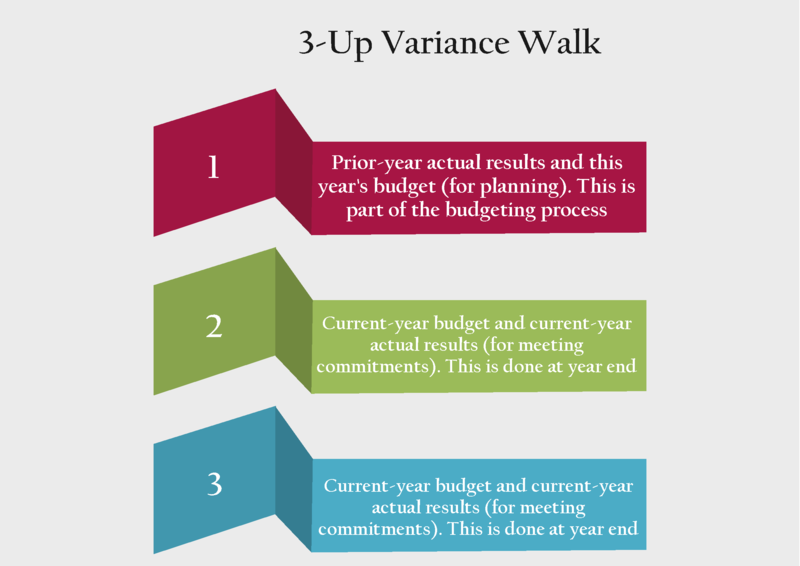 Looking back on prior-year variances is key to forecasting. It uses patterns of past business data to make a detailed assumption about future performance. Competitive advantage: Variance analysis provides the information that promotes consistency in meeting or exceeding plans. It also allows decision makers to identify what changes need to be made in the overall business strategy. Risk management: This practice gives finance leaders the insights they need to mitigate controllable and even uncontrollable variances. Business leaders are able to take a detailed look into how their business is performing and identify potential issues such as budgeting issues, revenue and expense issues, and possibly criminal issues. Shareholder value: When a company combines good internal controls, an effective internal audit process, a cross-functional environment, and a culture of meeting commitments, it increases the probability that variances will be positive and that commitments will in fact be met or exceeded. As with any financial practice, there are challenges to overcome. The devil is in the transactional details when analyzing variances, which can take significant time and effort for analysts to collect and deliver the results. This process is prolonged even longer if the company handles planning using spreadsheets instead of a more robust analytics system. With spreadsheets, it is difficult to know where the data came from, how trustworthy the data is, or the reason behind the variances. With limited time for analysis and limited visibility, this poses a huge problem for finance professionals. In such an environment, organizational clarity around structure and process is essential. Creating value in variance analysis requires the right technology. With ImpactECS, you can easily identify budget variances, understand the story the variances are telling you, and view one version of the truth that doesn’t keep you guessing. The level of detail available in ImpactECS makes it possible to accurately calculated variances based on time, location, production method, or service level. Our tool allows analysts to drill-down to find the root cause of variances and gives the visibility necessary to understand the actual performance of the business. Learn more about how ImpactECS can enhance your FP&A processes with variance analysis Here!